Today, I'd like to share some really pretty easter egg tutorials. The first one is from craftsncoffee.com. 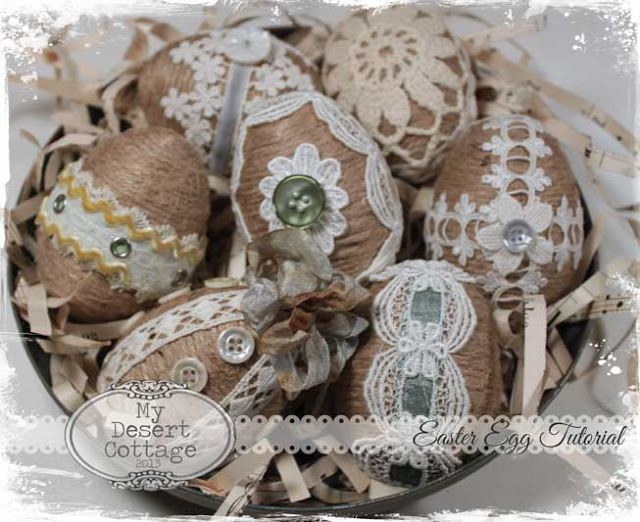 They're decoupaged with tissue paper and embellished with lace, ribbon and string. 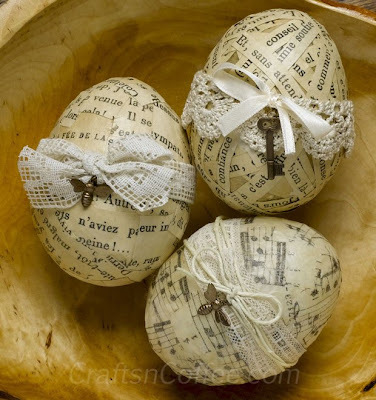 I'm inspired to decorate some eggs... how about you?